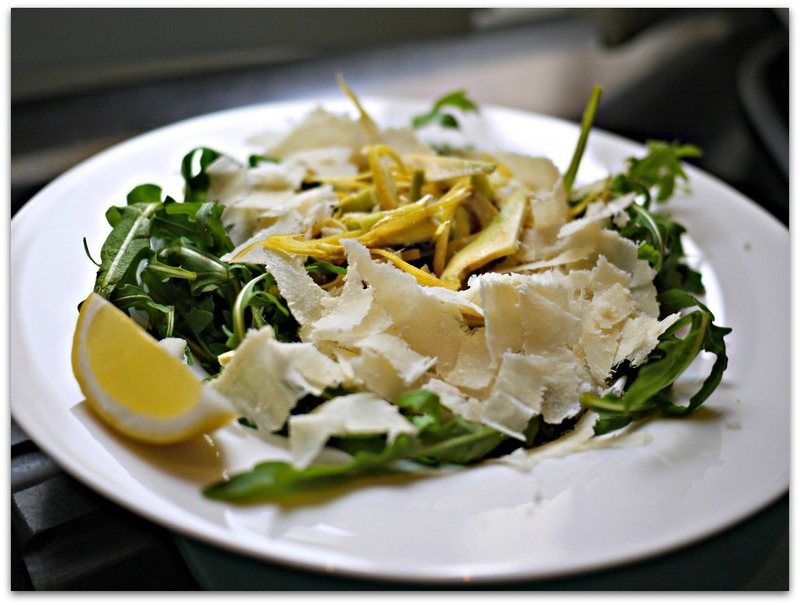 If you've ever visited the French Cote d'Azur or Italy's Ligurian coast, you may have seen on local menus a salad called, Carciofi Crudi, Rucola e Parmigiano, otherwise known as Raw Artichoke, Arugula and Parmesan Salad. Its modest title doesn't really do it justice. 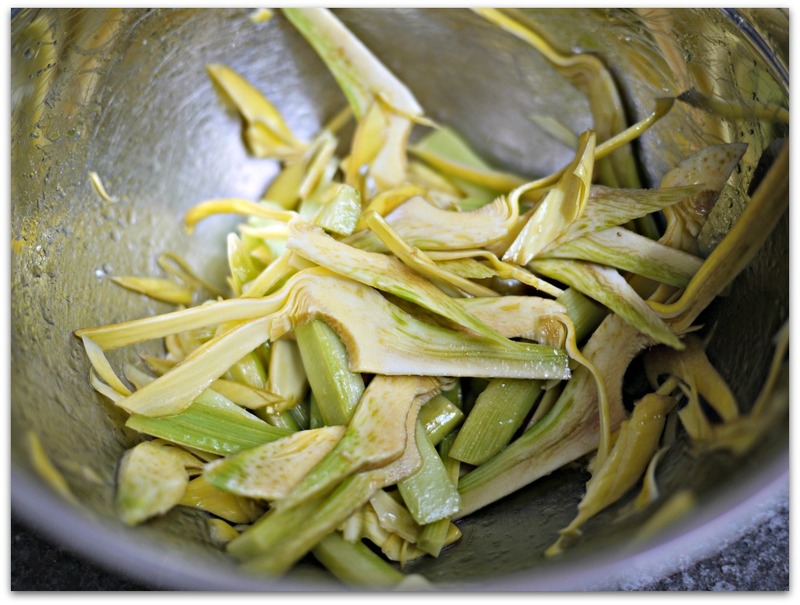 The star of the salad is raw épine or spiny artichokes that are available locally in the fall and spring. To make this salad, their tender interiors are finely sliced and seasoned simply with lemon juice, olive oil, and salt, scattered on top of fresh arugula, then topped with a liberal snowfall of shaved Parmesan. My friend Meghan and I like this salad so much that whenever we dine in Italy, we always ask if the chef can whip one up for us even if it's not on the menu! Even though artichokes generally take a bit of effort to prepare and the épine variety are particularly dangerous because of their sharp spikes, don't let that discourage you. I've posted detailed, step-by-step simple instructions for you to follow. 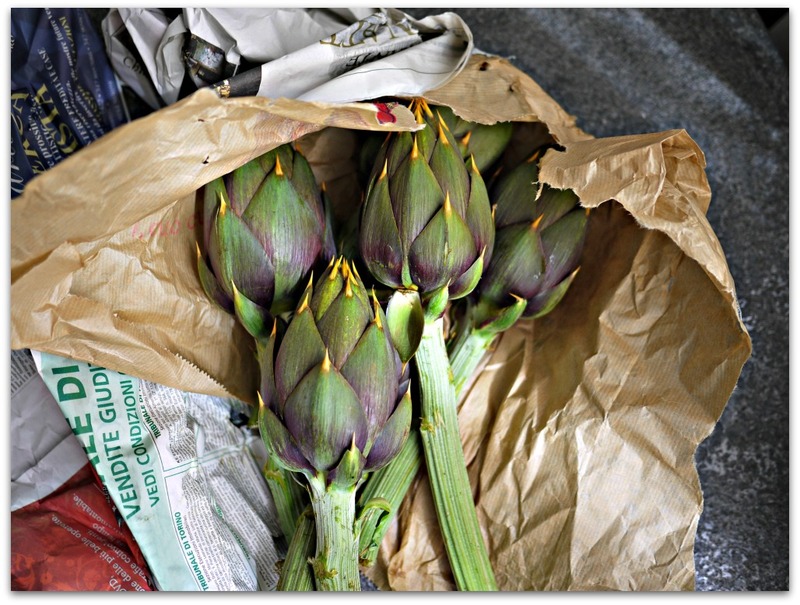 Of course if you aren't able to find the épine artichokes, but you can find other local ones, by all means use those! 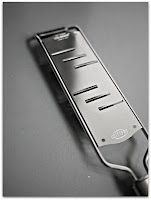 For this recipe, I like to use St Michel olive oil from Menton. I find that something magic happens to your taste buds when it's mixed with lemon juice. If you can't find St Michel olive oil, just use any Ligurian olive oil you can find with a prominent, fruity taste. Ardoino Fructus is a good one. I hope you make this salad. For me, it captures the true essence of Liguria. 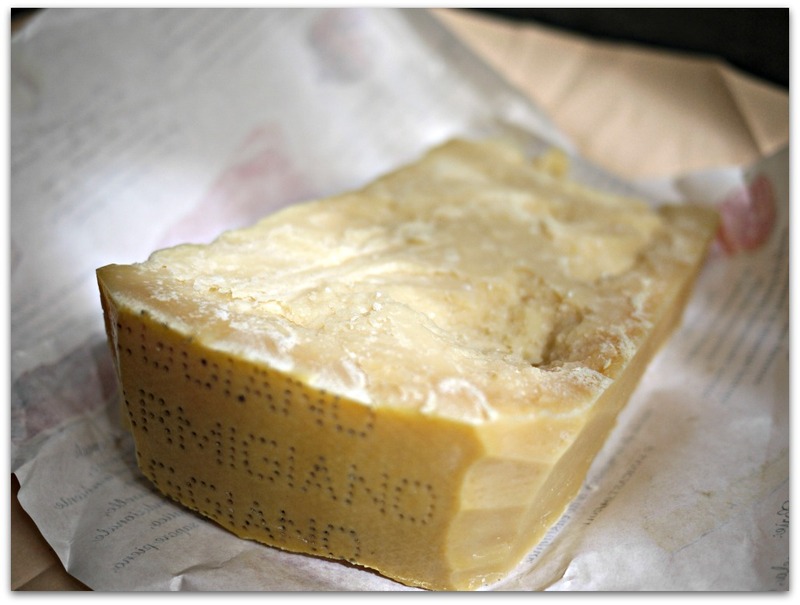 120g of 24 month old Parmesan for shaving, about 30g per person or enough to make about 1/2 cup of shavings per person. 1. Wash and spin your arugula. Place in the refrigerator to crisp up. 2. Make the dressing. 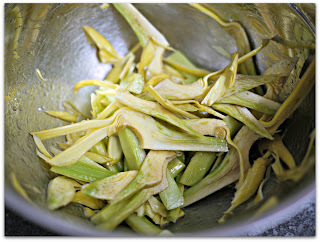 In a large bowl, combine the juice from one half lemon, 1 tablespoon of the olive oil and a few pinches of fleur de sel. Mix a bit and set aside. 3. Prepare the artichokes. Here are my detailed instructions on how to prepare them. As you slice them, add them to the bowl of dressing and toss to coat. This will keep them from oxidising and turning brown. Repeat with the remaining artichokes. You can add more lemon juice and oil if you find the slices are not being coated thoroughly. Set aside. Try one of the artichoke slices and adjust the seasoning if needed. Divide the arugula between the four plates. Squeeze a bit of lemon juice over the leaves and drizzle them with olive oil. 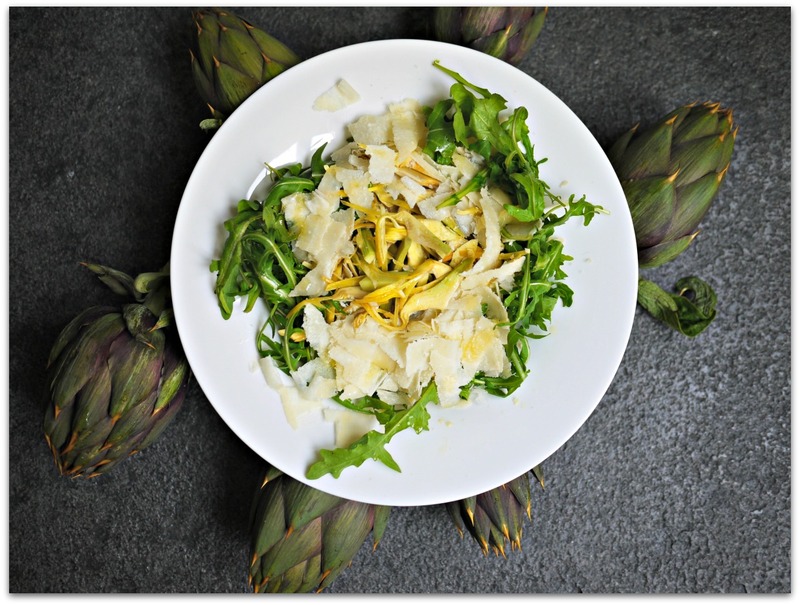 Arrange the artichokes in the middle of the arugula and sprinkle with Parmesan. Serve with a wedge of lemon on the side of each plate. Now artichokes are one vegetable I never thought to try raw! It sounds heavenly, so bright and fresh- I just wish I could find these particular artichokes around here.